The Hospital Saving Association (HSA) is Britain's Number One Family Health Care Cash Plan provider. Established in 1922, the HSA was formed with the primary aim of saving hospitals from closure, and helping people with the cost of being in hospital. HSA offers financial help when you or a family member has need of medical treatment, ranging from help for dental costs, optician costs, physiotherapy and being an inpatient. They offer a range of plans to suit all pockets from £1.80 a week, offering a range of benefits according to the plan chosen. 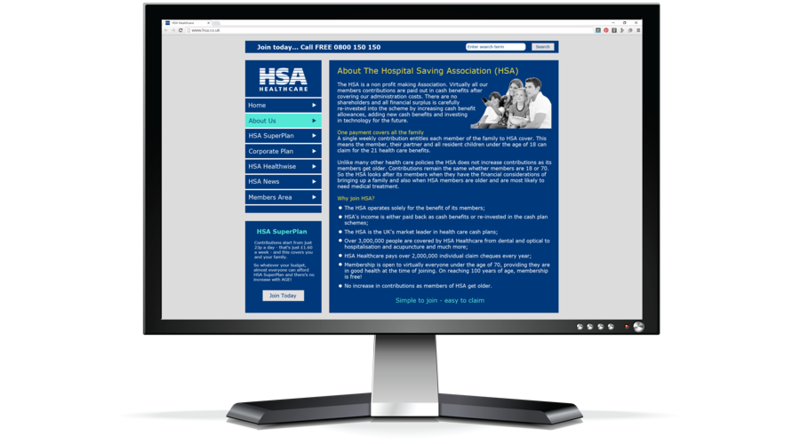 The HSA is a charitable trust that is non-profit making. It has just over 3 million UK members and virtually all the members contributions are paid out in cash benefits. 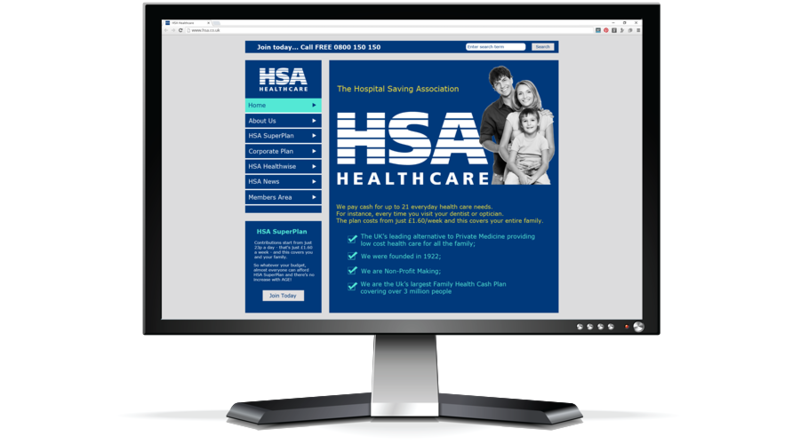 The Hospital Saving Association approached us due to our reputation of developing top quality websites for large UK Charities and Charitable Trusts. To promote Healthwise - the printed HSA Magazine, by creating an online version for members. 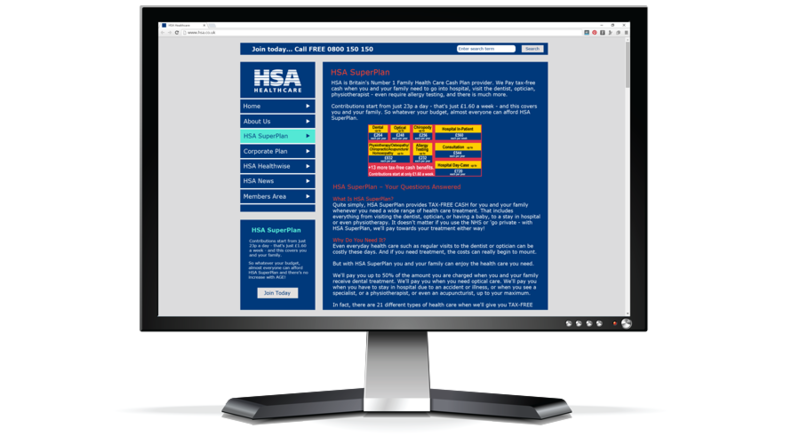 The site launch included an email marketing campaign targeting HSA's existing members to encourage online registration.